About 1885? 1892-3. 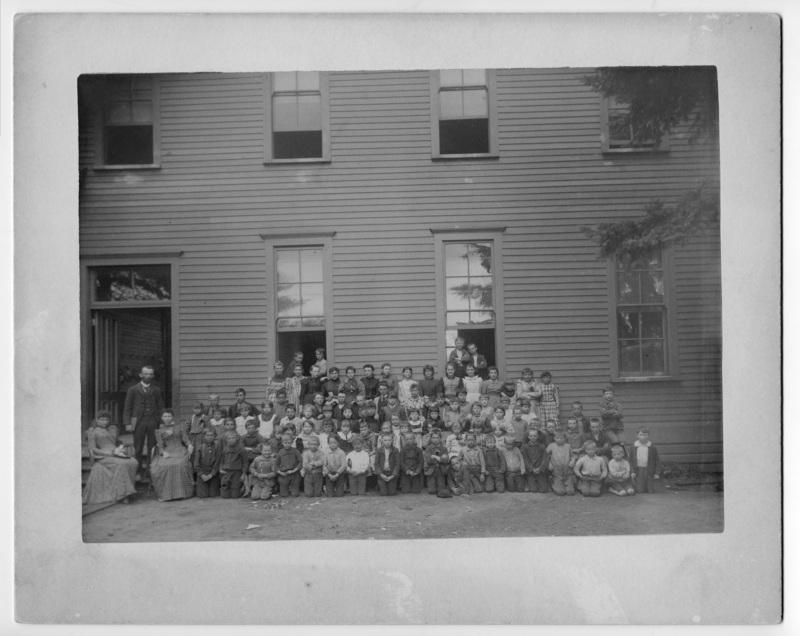 Oswego School which became Grange Hall.  ? Prof. Evans, Believed to be Prof. Evans; Principal - Mr. H.T. Evans. teachers: Mary Bickner, Miss Weatherell. Description Mounted on cardboard; darkening edges; scanned as b & w. Same as 370a & c. See names and additional information for photo 370a. Transcription About 1885? 1892-3. Oswego School which became Grange Hall. ? Prof. Evans, Believed to be Prof. Evans; Principal - Mr. H.T. Evans. teachers: Mary Bickner, Miss Weatherell.